[PDF] Power Politics: How China and Russia Reshape the World | Free eBooks Download - EBOOKEE! Description: We tend to think of ourselves as living in a time when nations, for the most part, obey the rule of lawâ€”and where they certainly donâ€™t engage in the violent grabs for territory that have characterized so much of human history. 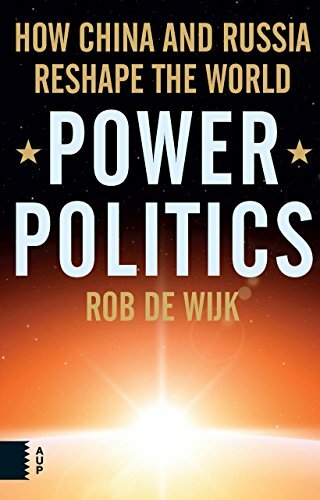 But as Rob de Wijk shows in this book, power politics remains very much a force on the international scene. Offering analyses of such actions as Putinâ€™s annexation of the Crimea and Chinaâ€™s attempts to claim large parts of the South China Sea, de Wijk explains why power politics never truly went awayâ€”and why, as the Westâ€™s position weakens, itâ€™s likely to play a bigger and bigger role on the global stage in the coming years. No comments for "[PDF] Power Politics: How China and Russia Reshape the World".